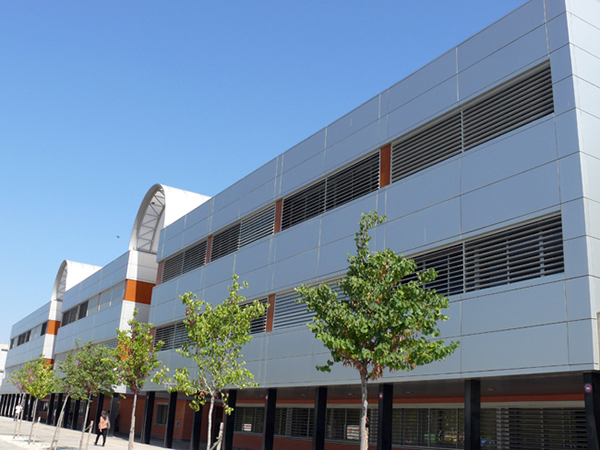 EINA is located in the Rio Ebro campus of the University. The campus is in the neighbourhood known as ACTUR, to the North of town. The most common way is by high-speed train from Madrid, Barcelona or Seville. Zaragoza has an international airport, served mainly by Ryanair flights from several European cities. There is no direct public transport, but you can take bus route C1 (‘Circular’) and then tram Line 1. Alternatively take a taxi and give the driver these instructions: “a la EINA, en el ACTUR, edificio Torres Quevedo”; cost: about 12 euros. There are often coaches to meet each flight, taking you to the city centre where you have access to the bus route (see above). Alternatively take a taxi and tell the driver: “A la EINA, en el ACTUR, edificio Torres Quevedo”; cost: about 30 euros. Since 1999, we maintain several beowulf-type computer clusters, which we call Boadicea (Beowulf Oriented Architecture for Distributed, Intensive Computing in Engineering Applications).